Here's the background story. I'd just come in on a red-eye and I was in Heathrow airport awaiting my connecting flight, to another european country, when I happen to catch my reflection while passing through customs. There's no way to sugarcoat this. My hair looked like I'd been dragged through hedge backwards, twice. My connecting flight was for a meeting that wasn't the sort of arrangement that would condone me looking like a red hot mess. So, I had one hour to kill and an agenda to find something to run through the hair that would save the day. The usual suspects were on offer at Boots, but I wasn't feeling a cheap and cheerful solution. Instead, I went in search of a salon at Heathrow. Again no luck. Just as I was getting ready to visit the lounge loos and throw my hair in a chignon, I spotted a could-be lifesaver. In the duty-free section of terminal 5, there was an Aveda pop-up that was advertising a new revolutionary dry shampoo called Shampure. At this point, I'm desperate. So I rush in and just about knock the sales lady over as I reach for the bottle- she was in the middle of showcasing a product for a perspective client and the heavenly scent had me hoping this was the dry shampoo she had in hand. Anyone familiar with the Aveda brand knows the products are sensationally surreal and fragrant. 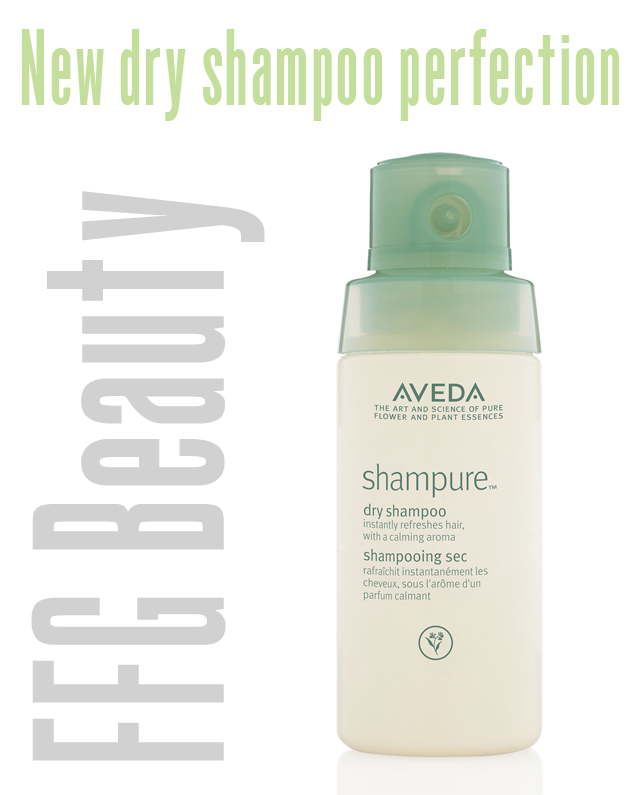 The Aveda Shampure Dry Shampoo was in fact the product being demonstrated, and I swear I would have bought this based no the smell alone. In reality, it worked a treat. I spent around £25 (if I remember correctly in duty free) and marched myself off to the bathroom to apply and pray. Oh Aveda, I owe you big style for saving the day. This stuff was genius. I sprayed the powder onto my roots and put my head under the hand dryer on the wall. After flipping the hair back up and running a brush through the former mop, I could have easily fooled myself into thinking I had found a salon for a proper blow dry. And... my hair had the most heavenly smell. In a nutshell, I'm grateful and a true convert. I love this stuff, so naturally had to share. If you're in the market for a new dry shampoo with pizazz, not to mention 25 pure flower and plant essences, give this product a go. It's an in-between washes savior.